If you were at all able to take a break from your search for pet-friendly apartments in Los Angeles over the past few weeks, you may have heard the sad news that Zsa Zsa, the winner of the World’s Ugliest Dog Contest, died mere weeks after seizing the title. Think you know what it’s all about? Read on, as we take a look back at this year’s competition, along with the history behind this world-famous pageant of hideous (but lovable) canines. What Is the World’s Ugliest Dog Contest? The “World’s Ugliest Dog” is a competition held annually in Petaluma, California, part of the Sonoma-Marin Fair. If you’ve not heard the name before, take a look at your map. See where San Francisco is at? Great, now head north about 40 miles and you’ve found Petaluma. It’s part of Sonoma County, a smaller town of about 60,000 people, and the home of the Lagunitas Brewing Company’s headquarters. In addition to the substantial publicity and media coverage (upwards of 3,000 people attend the contest every year, and the media loves to run articles about the participants), winners of the contest receive a check for $1,500, along with a free trip to New York City. That’s plenty of incentive to enter, provided your pet meets the qualifications. There are no breed restrictions (unlike “hifalutin’” dog shows, mutts are welcome here), and contestants come from all around the United States, and even the world. The only “boxes” dogs in the show must tick are being healthy (owners must provide veterinary records to confirm this) and having a “nonstandard” appearance, which can be confirmed with a simple visual examination. Beyond the prizes and publicity, the Sonoma County Humane Society uses the event to promote awareness about dog adoption, provides opportunities for prospective owners to adopt, and, in general, celebrates the joys of dog ownership for all. The fair, for its part, sings contestant dogs’ praises, posting photos of the winner and issuing press releases about the competition, along with supplementary YouTube videos and feature spots on the contest website. Pets came from far and wide to enter the 2018 competition. Both People Magazine and NBC News covered some of the most notable contestants from this year and past years. In the past winners column, we have fine examples like Quasi Modo. The 2015 winner of the competition, a “hunchback 10-year-old Pitbull/Dutch Shepherd mix” bested 26 other dogs and scored a full fashion makeover from Carson Kressley on Jimmy Kimmel Live. Peanut, from 2014, was an unfortunate burn survivor, and victim of abuse. His win helped highlight the plight of distressed animals across the country. 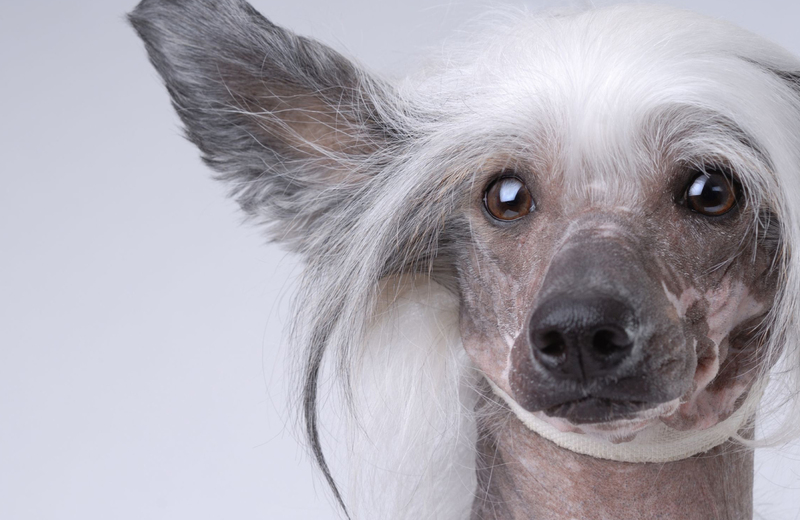 The appropriately named “Mugly” took the prize in 2012, and few can forget old one-eyed, three-legged Gus — an interesting looking Chinese Crested from Florida who won big in 2009. Whether your four-legged friend is a looker or not, they’ll love the accommodations of apartments like Eighth & Grand. This premiere DTLA community has the amenities a pet needs to live in luxury, including a pet wash and grooming area. The perks go beyond that, though, and encompass many things that you’ll enjoy as well. The Penthouse Lounge, a state of the art fitness center, a resort-style rooftop pool — whatever your fancy, you’re sure to find it here. Make sure you check out everything Eighth & Grand has to offer, and make this you and your canine companion’s top choice for superior downtown LA living.